I have been using this for two weeks now and I could see I significant improvement . It works wonders as an anti-aging eye cream and smoothes fine lines around the eyes and the brightening effect is phenomenal. I have no problem with dehydration and dryness any more, there's no uncomfortable feel of dry and tight skin around eyes. I am always sleep stressed out, and overworking my eyes in front of the computer screen. 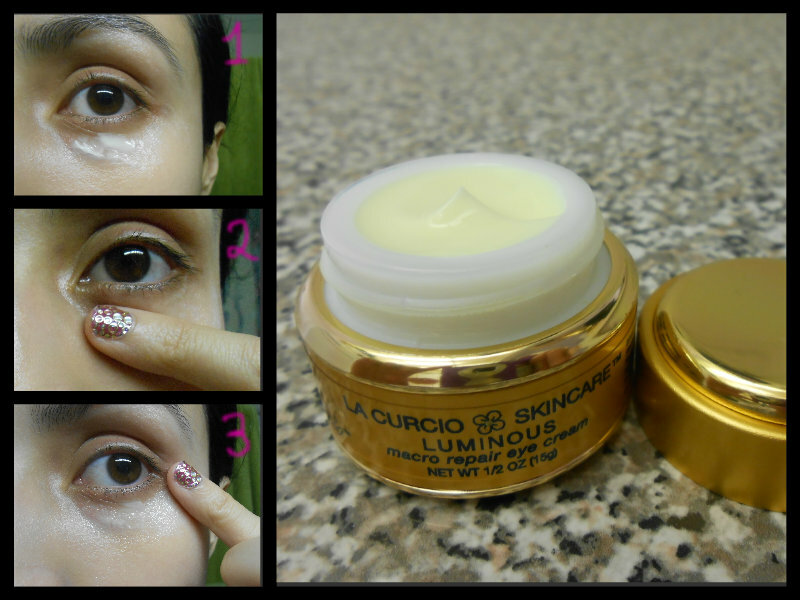 I've tried tons of other eye creams for my massive undereye bags and dark circles and nothing compares to the results I've gotten with this!. I also wear a lot of eye shadow, eye liner, and mascara so I really need to take care of my eyes. I like this cream because it doesn't make my eyes buffy and irritated with all the cosmetic on them, so it is smoothing and its a must right after cleanser. My eye are looks now healthy, moisturized, and less lined. 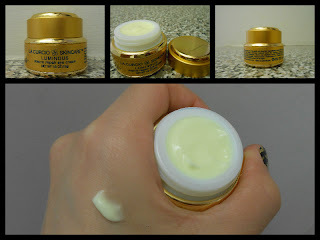 I can honestly say that this is a lovely, emollient eye cream with excellent moisturizing properties and fantastic staying power. When applied at night, I can still feel it on in the morning, which is wonderful. During the day, when given a chance to sink in for about 5 minutes, it works beautifull under concealer. * Good make-up base, doesn't make eye-concealer runny. * Antioxidant AM/PM beneficial for your eye area! * Sulfate and parabens free. * Pretty good results, with my undereye area looking 'healthy'. * This will Lasts for a few months, and I am a pretty liberal user. The best this about this is that you need only a small quantity to cover both eyes. Use the tiny amount of these products when applying, rub or tap gently very lightly back and forth, using ring fingers for 40 sec to 1 minute until it completely sinks in. I know it is time-consuming, but I think it is the way to work the best. The point is the skin can absorb a lot without a problem. I need this for my tired eyes,i will use the coupon code, thanks so much!!!! Diane, is there an antiaging cream you use on the rest of﻿ your face?